If the words “pot holders” bring to mind a stack of grimy rags then this is just the class for you. 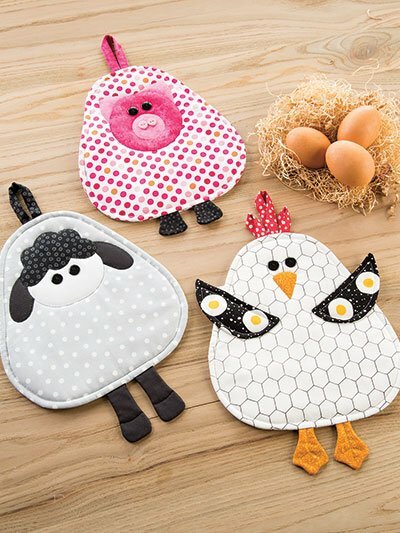 Grab the Pot Holders For All Seasons book, choose a potholder and fabrics and get ready to whip up decorative yet practical pot holders for any occasion. If you’re unsure, stop by the shop and check out the samples Jill made from the book; too stinkin’ cute!